Now the sun is just about starting to show itself, the countdown to festival season can finally begin! As announcements are in full swing, artists on This Is Now Agency roster can already be seen on the line-ups of Camp Bestival, Secret Garden Party, BoomTown Fair and 2000 Trees Festival amongst others. We’ve been busy for the last four months ensuring our acts get into festivals of all shapes and sizes, and we’ve still got plenty of slots to announce – including appearances at some of the world’s most famous festivals. In fact there are so many festival shows planned, we reckon that by the time summer is out This Is Now Agency roster will have appeared at over 50 individual festivals between them. This Is Now Agency has got not one but THREE bands shipping out stateside for North American tours over the next month. First up is Public Service Broadcasting, who have already embarked on a thirteen date tour across taking in the East Coast and Canada before they then head down to Austin, Texas for much anticipated performances at SXSW Festival. Skinny Lister will be following hotly on their tail as they join legendary punk band Dropkick Murphys on their St Patrick’s Day tour from Wednesday 19th February. The band will be playing a mighty twenty one date stint covering all areas of the USA, ending in Boston on Paddy’s Day itself. Coming off the back of a Frank Turner stadium tour which saw him smash the O2 Arena earlier in February, Beans On Toast will be hitting the road 3rd March on his first ever headline US tour. Also playing thirteen shows throughout the US, we think he’s going to go down a treat across the pond. The infamous cult-status blues legend Son of Dave returned last year with a slick, new full production album, Blues At The Grand. 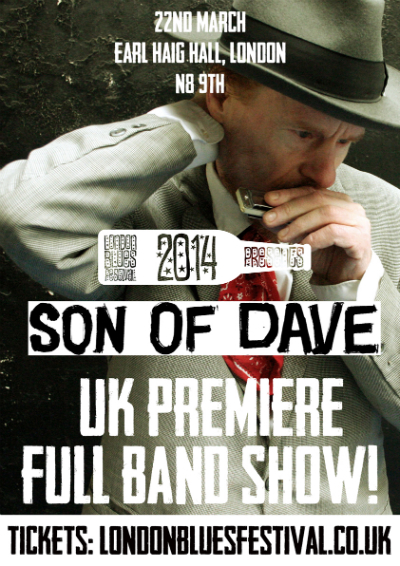 Heading out for more live shows in 2014, The London Blues Festival will be the lucky hosts to the first UK performance by Son of Dave with a full band live at Crouch End’s Earl Haig Hall on Saturday 22nd March. His usual one-man-arsenal show has gained him international notoriety with close to a thousand performances all over the western world but now he’s joined by This is Now’s The Royal Organ Duo on organ and drums, and Marta Riccardi on bass and backing vocals, filling out the sound and bringing the songs from the new album to life. It’s blues, disco, funk, soul and all sorts of delicious stuff all unmistakably done the Son of Dave way. Don’t miss this. Tickets are on sale now from £5 and can be purchased here. More information can be found on the event’s Facebook available here. 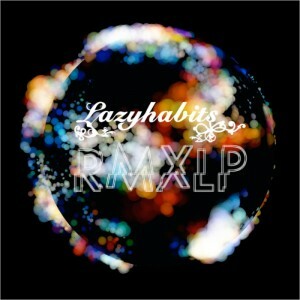 After the success of their self titled debut album in late 2012, Lazy Habits return with new release ‘RMX LP’ on 10th February via Run ’N’ Jump Records. Costing just £5, the record is made up of exclusive remixes from both renowned and up and coming artists such as 28hurtz, Fjokra, Benny Aves, The Correspondents, The Disablists and Floris Jonker and sees 15 original tracks ingeniously reworked to critical acclaim. Lazy Habits will be premiering a track a day up until 10th February via their Soundcloud, with the first few songs already being available for stream. The band are also giving away ‘Ashes (The Disablists Remix’ as a free download, which you can get it here. Buy your copy of the RMX LP online here now. Following an incredible 12 months that saw their debut album ‘Inform – Educate – Entertain’ named one of BBC 6 Music’s Albums of the Year, Public Service Broadcasting have announced they will heading out on their first ever North America headline tour later this month. Starting in San Diego on 18th February, the band will play thirteen different cities across America and Canada before ending in Austin, Texas for SXSW Festival on 10 – 14 March. Tickets are now on sale via; www.publicservicebroadcasting.net and PSB’s Facebook.